A redo of an older picture of mine. Some more Warriors fan art. 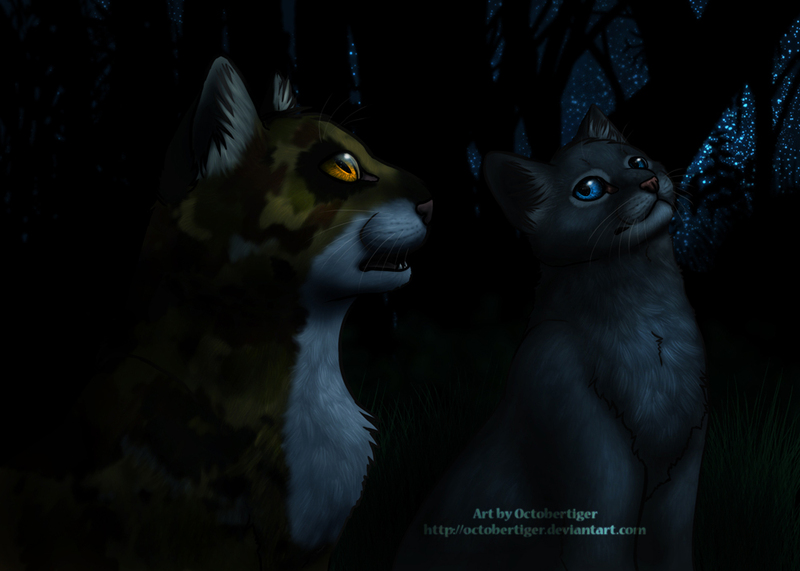 I loved this book and this is eactly how I pictured Bluestar! Too shocked at staring the awesome art you made to comment. So pretty!!! I love the shading and lighting and their eyes. the fur looks great. You put in so much detail, and I love it. I espceally love the background. The two cats gain the most atention. Hey, InvaderTigerstar! It's HawkAngel13 from when you livestreamed making this! I just wanted to let you know that I'm on here. This looks amazing! I got on too late yesterday to see you livestream the finishing details. But it came out great, congrats. Amazing...look at how the fur detail just...no it is the eyes! I have always noticed your eyes were the pinpoint of your pictures other than the fabulous colors. You really use the moonlight and stars to your advantage here.